Each LGBT History Month, every Black History Month, we celebrate our heroes, inspiration, fellow travellers and role models. We are proud to share the stories of Black Queer people from across the African diaspora. US citizens, Baldwin and Rustin, Hurston and Hughes, Lorde and Marsha P, appear regularly in our social media and we celebrate their respective, profound contributions to their own times and to ours. The US, as the cultural superpower of today, seems to have been better at identifying and praising its heroes, and we need heroes right now, even if much of their experience is rooted across the Atlantic. What about our British heroes? 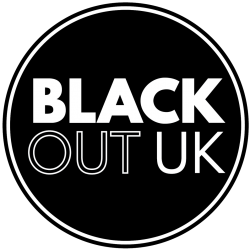 Back in 2005 the Black Gay Men’s Advisory Group were asked to contribute to an LGBT section of the 100 Great Black Britons Campaign; all involved were struck by the small number of people we were able to include who were UK-based. We agreed at that time to improve the visibility of our stories, and to celebrate more vocally those who we had been able to identify. 14 years later, there are many more Black Queer people in the UK who have come to public prominence. Compiling a list should now be a far easier task, but it is clear that there is more to be done to illuminate and amplify our stories here. This LGBT History Month we decided that it was high time to identify and celebrate more of the Black Queer people who have made a difference in the UK. We came across the life story of Berto Pasuka and we were hooked. Initially, our efforts to lift up Berto Pasuka were met with confusion – Bert what? Pasuka who? Berto Pasuka was a Jamaican migrant before the sailing of The Windrush. A film actor, dancer, innovator and entrepreneur who came from a modest background, and founded the Ballet Negres with his compatriot Richie Riley; Europe’s first black-led dance company in modern times. A leader, who enjoyed some celebrity in British and European post-war high society, he carved a new space in the story of British dance for Black people. The dance company was met with critical acclaim but fell apart only six years later, unable to access the public subsidy that other companies were deemed to be worthy of. Pasuka’s story ends tragically early; after his return from a period seeking his fortune in Paris at the age of only 52. Berto Pasuka is one of the few Black and queer men who feature in the National Portrait Gallery collection – a place he held well before Simon Fredrick’s excellent 2018 Black is the New Black exhibition at the gallery. His life story speaks to the creative outsider, determined innovator, radical convenor and visionary that is recognisable from the story of so many Black queer Britons. Instead of waiting for Berto Pasuka and his remarkable life story to be discovered by others, we have decided to take the initiative and share his story as a way of encouraging further historical analysis – a task being most ably taken up by Dr Gemma Romain author of the biography of Patrick Nelson which is out in paperback next month. We are also taking inspiration from the past lives of Black and queer men in Britain, to inform the present and our futures, by establishing the exciting new Berto Pasuka Arts Prize for contemporary artists. We are honoured that singer, songwriter and art historian, David McAlmont has agreed to give the inaugural Berto Pasuka Lecture – there are a few tickets left if you would like to attend. Knowing David’s work, we could not have wished for a better lecturer and ambassador for both the Pasuka cultural legacy and insightful analysis of the role of Black and queer Britons. In preparation, he has taken it on himself to conduct a series of interviews with Black queer men from a diverse range of backgrounds to inform his thoughts. Look out for an interview with David in advance of the lecture on blkoutuk.com next Monday 11th Feb. In support of the lecture, we have put together a programme celebrating Black queer men in contemporary arts. Taking over the gallery’s Friday Late event, we will hear a new operatic mono drama A sitting with Logun Ede, by Juwon Ogungbe, and Grime in the gallery from Karnage, see a dance performance by Gerard Martin choreographed specifically for the site, and dance to tunes from DJs Jay Jay Revlon and Eddie Otchere. Entrance to the Friday Late is free – if you are in London this is definitely one not to miss! We are grateful to the National Portrait Gallery team who have been really supportive of our efforts to remember Berto Pasuka and of the lecture. We are looking forward to working with them and other partners including, The Wallace Collection, on establishing the new arts prize.